World of Warcraft Gold Guide - How To Make Gold in WOW: Contest ends! 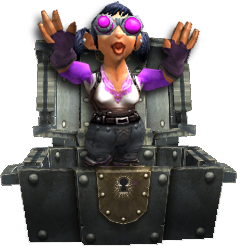 Guess what's inside the Treasure Chest-contest has ended! There was only one correct answer and the winner has been notified. Because of only one winner, the gold amount will not be split. Congrats on winning a healthy sum of gold, daybreeze! Don't spend it all on one mount in the Black Market Auction House! So what was inside the chest? Stay tuned! New gold making tip coming within 24 hours!